Everyone else is doing it, so I may as well jump on the bandwagon! 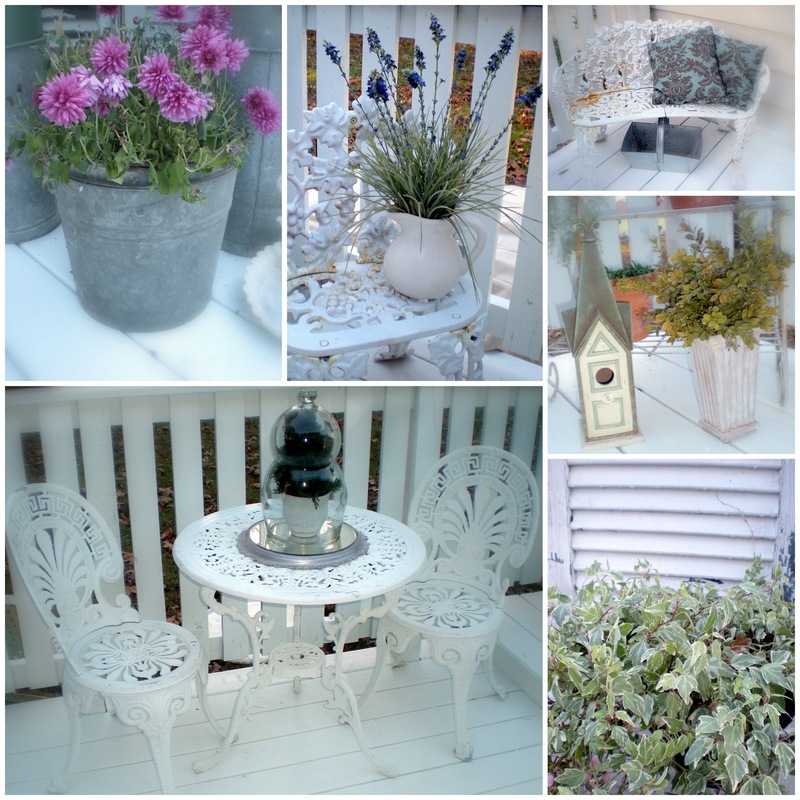 Here are some of my favorite projects and posts of 2010! To my die hard followers--sorry for the re-run--to my newest followers here is what you missed and a taste of what's in store for 2011! 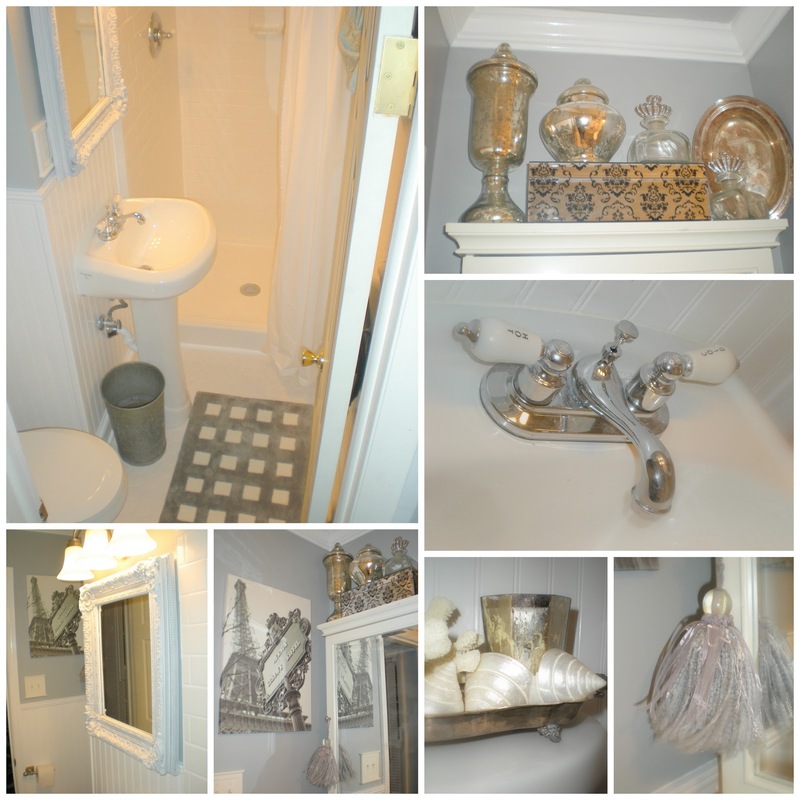 Budget Master Bath Renovation Though it took way longer than planned--it was worth the effort! This room may be tiny but the style is HUGE! My Shabby Kitchen I've always wanted a cottage kitchen--now I have one! I'm hoping to do some aesthetic changes (replace upper cabinets with open shelving) in here sometime this year--I'll be sure to post about the whole process! Shabby Chic Deck Makeover Before I re-did this, my deck was where I spray painted and did other messy projects--so my deck was multi-colored! I'm not sure where my new work area will be, but now I have a place to enjoy the backyard! New Chandy in the hallway I have a 1964 Ranch Style home--this being said, my hall had the original UGLY 1964 light fixtures--this $10.00 (ten dollar--no typo here) yardsale chandelier really dresses up a usually passed by area! Garden Urn turned coffee table You can't get around not having a coffee table--but you can get around having a boring coffee table! I took an antique cast-iron urn and filled it with treasures then topped it with glass--a simple way to get a designer look for little green! To all my new readers--if you haven't done so, please follow me! I will follow back--just keep in mind, it might take me a bit to follow you back--don't fret! Oh--one more thing--I got the chandelier hung in the Laundry/Mud Room today! That means the reveal is coming soon! Hopefully in time for Cindy's Show and Tell Friday over at My Romantic Home!